And here we are, right on schedule - discussing how the humble staple black anarkali has recently metamorphosed into well, yellow. There’s the greenish yellow of a banana almost ripe. There’s the bright beautiful yellow of a banana freshly ripened. There’s the dull mouldy yellow of a banana gone bad. Call us conspiracy theorists, but we believe this is a plan set in motion by the “boys of the internet” led by… wait for it... Jay-Z. Why, you ask? To replace our rose-tinted phones, newsfeeds and walls with something more… gender-neutral. First, they got Beyoncé to wear that frilly yellow Oscar de La Renta in an album suspiciously titled Lemonade, which was basically a homage to the colour. Maybe it was Jay-Z who planted the idea? Remember that video of Beyoncé and Jay-Z singing Coldplay’s Yellow? Or Jay-Z taking Bey to the 'Made In America' concert to watch Cardi B perform Bodak Yellow? Of course, he was in on it. Once the #BeyHive decided it was cool, the wheels were set in motion… for Selena Gomez’s yellow-tinted Bad Liar video (with not one but TWO yellow slip dresses), for Bella Hadid’s endless collection of yellow tinted glasses, for H2T yellow looks from street style all over the world, and eventually for the new anarkali staple. 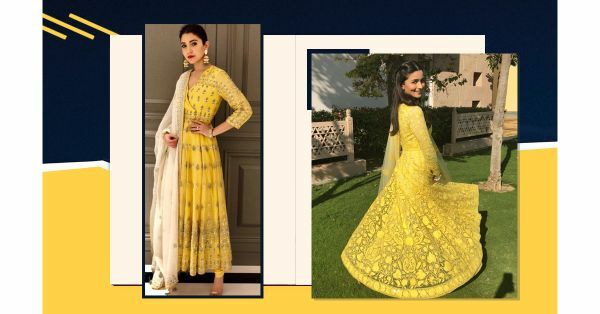 Let’s recap to the yellow anarkali looks that we’ve been double-tapping on Instagram. When Alia Bhatt was the ray of sunshine we could all use in our lives. When Anushka Sharma mixed up her yellow with some gold to work it for the PM. When Kriti showed us how to be bright, comfortable and fashionable - all at the same time. 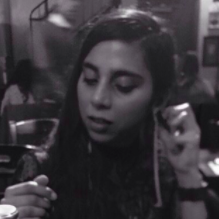 When Aditi knew that mustard needs to not have too much going on for it to not look OTT.